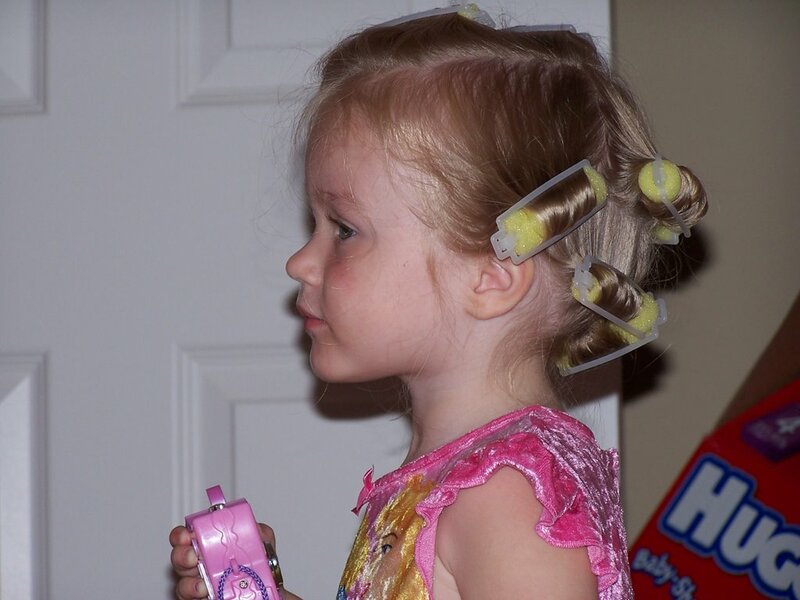 Last night I put Emma's hair in sponge rollers, and this was the result... It was great fun. She also had me paint her fingernails and toenails this morning... She is quite the girl when she wants to be! oh my heavens, are you trying to kill us all with cuteness? that is so adorable, how long did the curls last? what a little princess. we love you Emma! uncle neal says it looks like she's getting ready for a pageant. 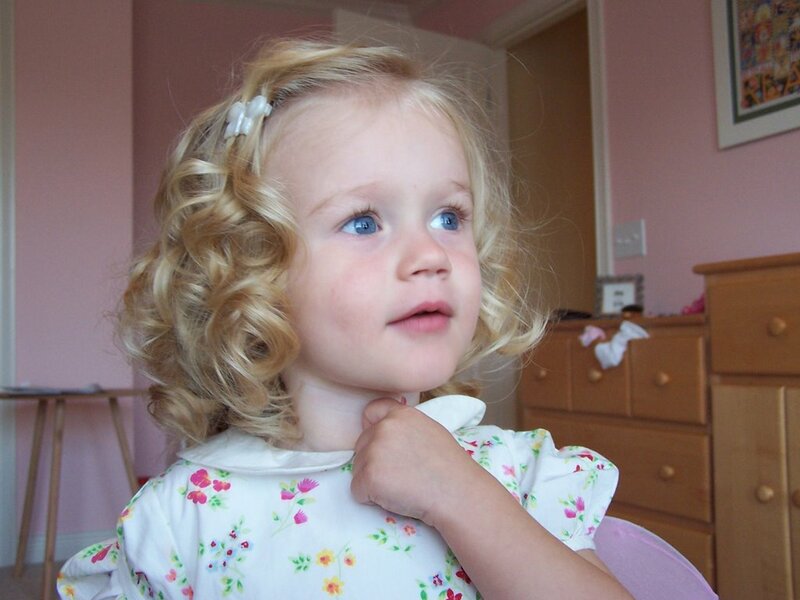 luckily we know that no matter how cute your child may be Ginger, you do have a clue and would never do that, right? she looks gorgeous! that is a great picture. Aw, how fun. I'm jealous. I've been trying to get curls like that but I usually just use rag strips... how much do sponge rollers usually cost? P.S., I think she looks a lot like your baby/kid pics in that top one.